Wagyu (American Kobe) Beef Jalapeno Cheddar Bratwurst, These Bratwurst are made with Jalapenos and premium cheddar cheese.They are not terribly "hot" they have a nice mild heat to them. These are one of our most popular items and you will not be dissapointed. Cook until golden brown, do not overcook. Custom packed for us at a Family Locally Owned Packing Plant. Approx. 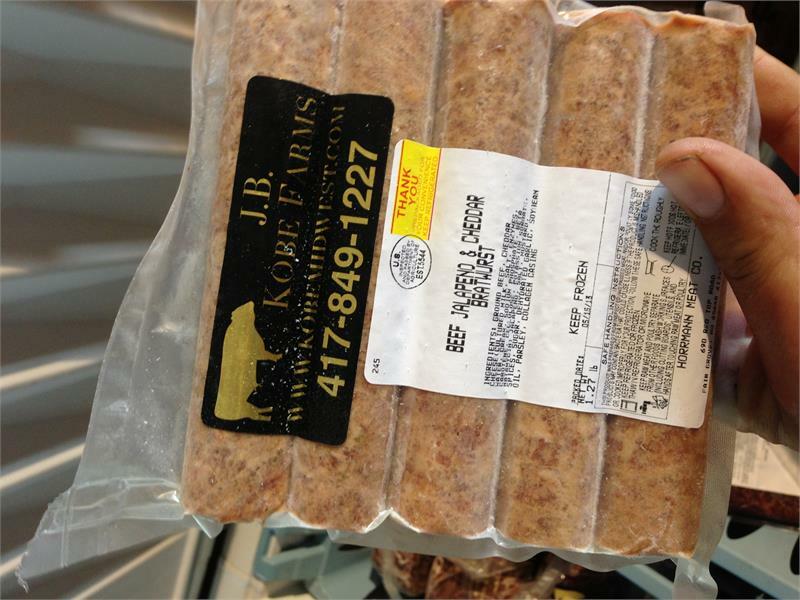 1.5 lbs per package 5 bratwurst per package.